freelance | 100 DAYS, 100 GRAND - be earning six figures as a freelancer... 100 days from today! 100 DAYS, 100 GRAND - be earning six figures as a freelancer... 100 days from today! Be earning six figures as a freelancer… 100 days from today! 100 Days, 100 Grand is a big book, but the techniques it teaches are mostly basic and simple. So this week – prompted by an old piece of internal marcomms falling off my bookshelf, a little book from my agency days called “How to do Ads” – I set myself a task: writing a “little book” with all the basics of successful freelancing, in just 48 postcard-sized pages! I was done in a (frenetic) 48 hours. Here’s the book: https://www.amazon.co.uk/How-do-freelancing-Chris-Worth-ebook/dp/B07Q59XGSW/. Or email me and I’ll send you a free PDF! 100 Days Editions are here! 100 Days, 100 Grand is a big book – over 1,000 A4 pages. That makes it a long read on Kindle, and – if you own the print edition – heavy to carry around. So, based on reader feedback, the content is now available as 12 smaller books – the 100 Days Editions! The new books are around 50-150 pages each, making for an easier read – and, of course, easier on the pocket, since you can buy each when you’re ready. (The Intro is just £1.99 – or FREE if you’re on Kindle Unlimited!) Each Edition’s cover is accented with the same colour used inside to denote its Part, just as in the complete workbook – it’s the same content of course, just split into the ten Parts plus an Intro and Appendices. Print editions are coming next month; Kindle versions are out NOW. Why not start your collection? The structure of 100 Days, 100 Grand was inspired by a very special book – that had nothing to do with freelancing. Here’s a new LinkedIn article on how the book got its start from the fitness industry. People seem to be enjoying the paperback edition – as a workbook, 100 Days, 100 Grand is designed to be scribbled on, with wide margins and linespacing, and ebooks aren’t quite naturals at that yet. Nothing makes me happier than seeing someone adding notes and highlights; by the end of someone’s hundred days I’d like their copy to be dog-eared, covered in runes, stained with coffee and stacked with Post-Its. But it’s a big book, and people are complaining they can’t carry it around when they work in freelancer haunts like coffee shops. So in May I’m launching a set of new editions – splitting down the book’s 10 Parts (of 7-14 chapters each) into separate books. They’ll contain exactly the same content, but in easier form factors of 60-150 pages apiece. Hey, if it makes life easier for my audience, I’m all for it! I’ve had a fair few comments since launch. Mostly positive. It’s a good book; it’s a colourful book; it’s a well-organised book; it’s (oh yes) a big book. Most commonly, though, is another riff: that’s it’s an expensive book. There are three reasons for this, so I thought I’d share them. Reason #1: High fixed costs. The first (and least important) reason is simple: production and distribution. This isn’t a dime novel; with 1,200 large-format colour pages, each copy costs around £30 just to print! Add shipping and handling (another £5-£8) then factor in the 55% bookseller discount (which comes off the RRP, not the net) and the result is I make around 7-8% profit on the print book. That doesn’t leave me much leeway to cut the price. Of course, I also sell the book from my own site, avoiding the bookseller margin. Can’t I discount that? Well, I could – but Amazon, among others, gives a price match guarantee if you see the book cheaper elsewhere. So it’s cut everywhere or cut nowhere. You do get a signed thank-you when you buy direct, so that’s the method I’d recommend. Second, the whole purpose of the book involves investing time now to enable a six-figure income in 100 days’ time. A top 1% income isn’t a free gift: you have to work for it. This book is a work plan, not a shortcut. Anyone not prepared to risk £30 of their own money for the chance of a £100,000 income probably isn’t the sort of person who’d invest the 100 days of time the book asks. The methods aren’t magic; those 100 days involve work. So the high price makes the audience somewhat self-selecting. People who pay are already motivated to earn six figures, and prepared to invest what it takes to get there. The bright side: it’s win-win: if you’re unsure about whether you can make the investment, fine, don’t make it. I’m not holding a gun to anyone’s head. Reason #3: I just don’t want to. This is going to make me sound like a value-of-labour nut (which I’m not) but think about this: I spent three years of my life and a five-figure sum of my own money bringing 100 Days to market. It took a year just to work out what each chapter needed to do and how they should clump together into sections. It was a labour of love, but it was also hard work, and I’m not going to give it away. Any more than I work for my clients for free. Setting myself an unbreakable 90-day deadline to finish the book worked! Albeit with one day off (Christmas day), some very hard days, and about one time a week where I wanted to pitch my laptop out the window. But after 89 days, the Kindle, Print Replica, and paperback editions of 100 Days, 100 Grand are all on sale now! I’m chuffed to see the idea I had four years ago finally making a thump on the desk. (A big thump – the print edition weighs in at nearly 3kg.) Throughout its creation I’ve remained a working copywriter, and far too often the book took a back seat to my clients. I’m still taking clients as a working writer – man’s gotta eat – but this is the day my business changes a bit. The plan now is to coach budding six-figure freelancers in the book’s methods, and I’m planning a series of small seminars and presentations to encourage as many freelancers as possible to aim for a six-figure income and share the book’s threefold philosophy. What is that philosophy? First, that everyone has a saleable “signature move”: some combination of what they love and do best they can offer to the market. Second, that in our superabundant global economy there are customers for that offer: somewhere in the world’s $100tn market there are people with a mere £100,000 to spend on you. And finally, that technology – the true driver of the global economy today – can help you define, find, and connect with those people at low cost, across the wires and waves that link three billion people to information, applications, and resources. That’s the life-affirming message of the book I wanted to write: you can build the life you want, in 100 days. After nearly four years of effort, I think I achieved it. Now buy the book! Take a look at my shiny new Author’s Page, then pre-order your copy now! Like to get updates by email? 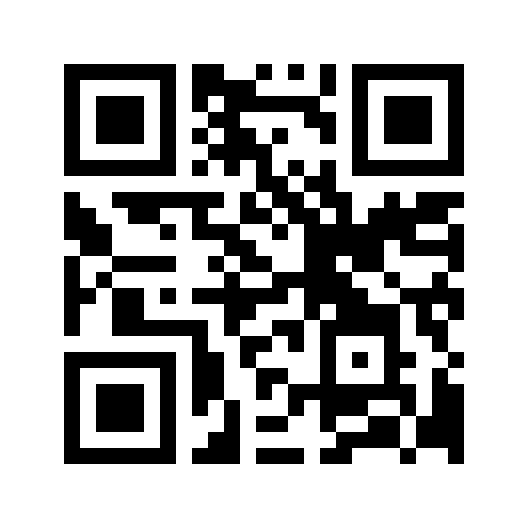 Scan this QR with your phone, or click it to enter your email. 100 DAYS, 100 GRAND – be earning six figures as a freelancer… 100 days from today!